Aracely Cabrera is currently Assistant Office Manager and Tax Advocate at Tax2Go, LLC. She began her career as a Receptionist at Alonso Tax Services during the 2013 Tax Season, and advanced to a Tax Advisor since taking the 2014 Income Tax Course. Aracely has 5 years of customer service experience. 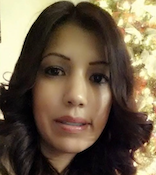 Aracely was born in Brownsville, TX and is happily married to her husband Osvaldo and proud mother of four children. She also attended and graduated from Lopez High School in Brownsville, TX. In her spare time, Aracely enjoys cooking, reading, shopping, traveling, and spending quality time with family and friends. Aracely's goal is to provide excellent tax service to her clients and get referrals to keep her business growing. Aracely is bilingual (English/Spanish).